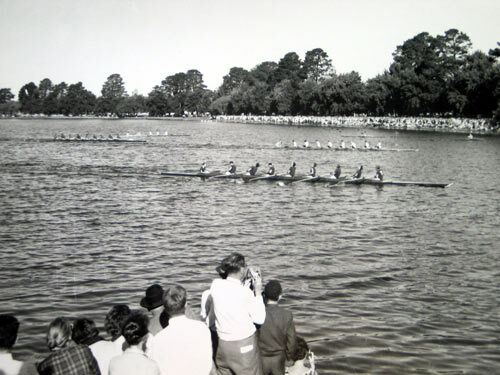 The Men's Interstate Chapionships were raced with heats, repechages and finals. 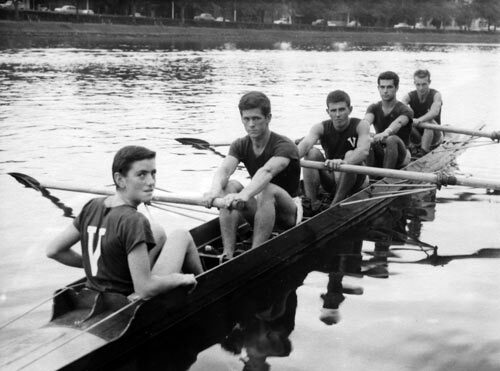 1st VIC - Bow: Ian E Douglas, 2: Charles J Lehman, 3: Duchan Stankovich, 4: Graeme McCall, 5: Martin Tomanovits, 6: Terry R Davies, 7: Paul Guest, Str: W Neville Howell, Cox: G J Norton, Coach: Alan N Jacobsen, Emerg: Simon Newcomb & Brian J Vear, Manager: W Ray B Todd, Selectors: Dr Lloyd S Williams, Ron J March & coach. In heat one of the eights, Tasmania defeated Queensland. In heat 2 NSW defeated South Australia. In heat three Victoria defeated Western Australia. Western Australia won the repechage against South Australia with Queensland scratched due to the illness of the seven man Steve Hinchy. The final was a half length win to Victoria from WA with NSW a further 1 1/2 lengths further back. In the sculling championship, Tutty defeated Squires and Fitzgerald in heat one, and Sykes defeated Hubbard in heat two. 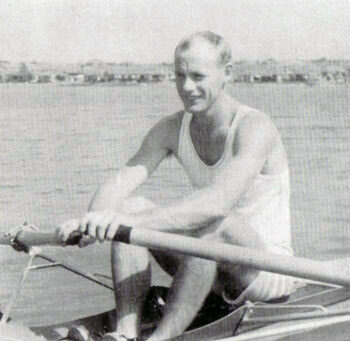 Squires won the repechage from Hubbard and Fitzgerald. Tutty had an easy win in the final from Squires, then Sykes and Hubbard. 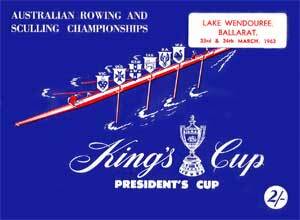 In the lightweight fours, Victoria defeated NSW and Tasmania in heat one and Western Australia defeated South Australia in heat two. NSW won the repechage from SA with Tasmania not finishing. The final was a four length win to Victoria from NSW with WA a further 1 1/2 lengths back. The margins indicate a closer contest this year between NSW and Victoria. However it was again another win to NSW.